You’re Technical. 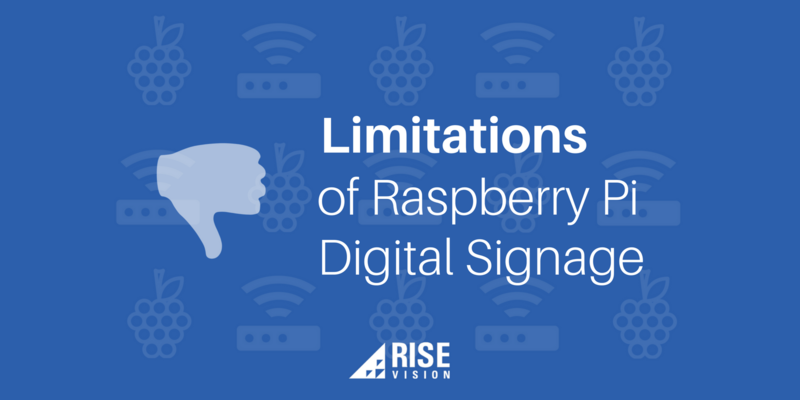 Thought About Raspberry Pi for Your Digital Signage? You’re technically skilled, and you’re exploring the possibility of using digital signage. Maybe your budget this year isn’t nearly as big this year as you were hoping. And it seems like digital signage hardware is much more expensive than you realized. 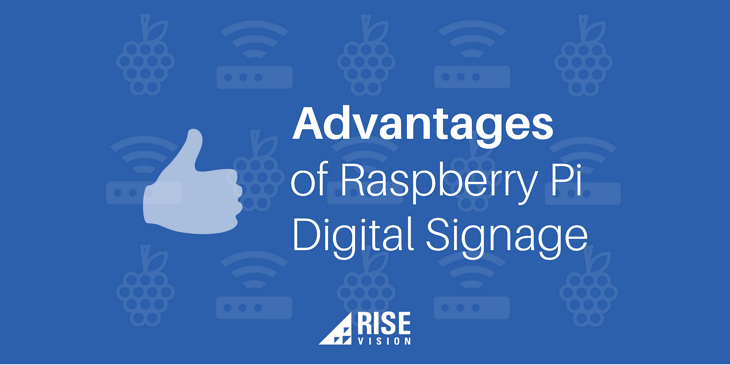 Well, if hardware cost is what’s causing you to second guess joining the world of digital signage, Raspberry Pi might be a viable option for you. 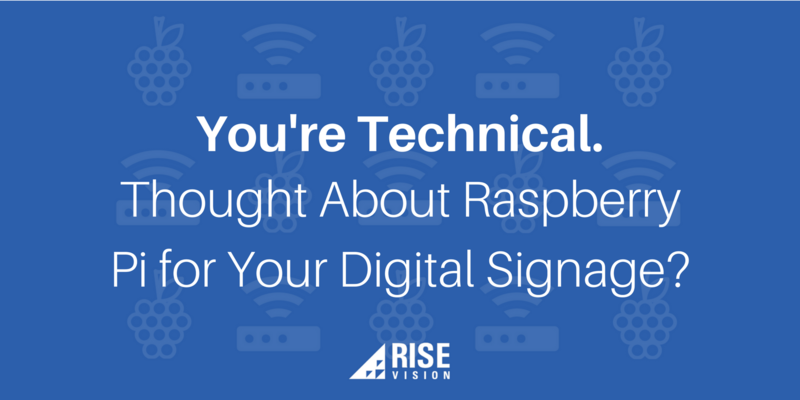 In today’s post, our goal is to explain who Raspberry Pi has benefitted most and help you to understand if it might be an option for your digital signage project. 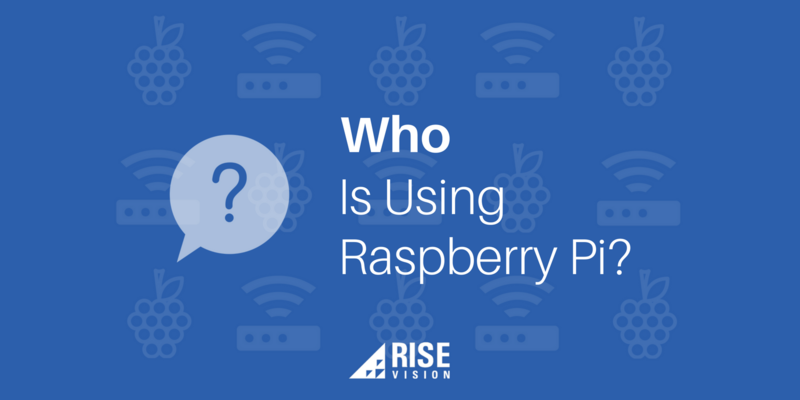 Who’s Using Raspberry Pi for Their Digital Signage? Nobody loves Pi more than our tech-savvy customers who don’t mind (or embrace) a bit of DIY work. We’ve heard from a handful of customers that setting up Pi for their digital signage is, in fact, a rather fun project. Blake, one of our Support experts, put together his own Raspberry Pi hardware with our open source software. And for him, it was a breeze. 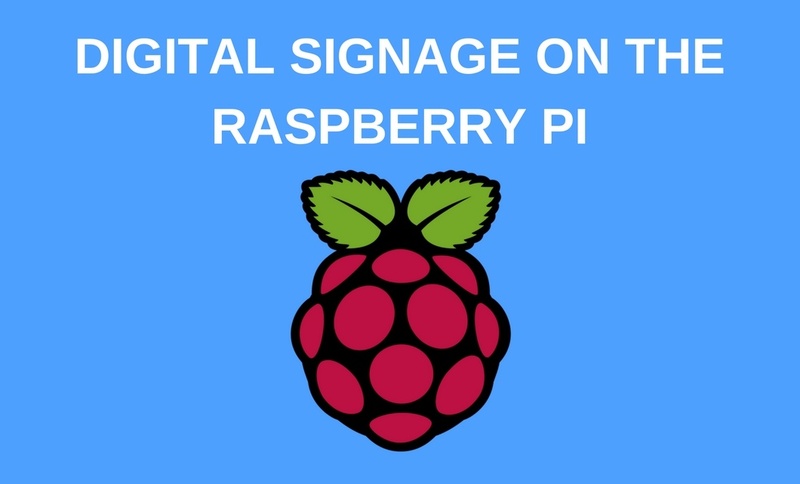 He was so excited about it, he wrote a digital signage Raspberry Pi tutorial. If you started reading, and realized that Pi sounds like too much of a hassle, that’s okay! 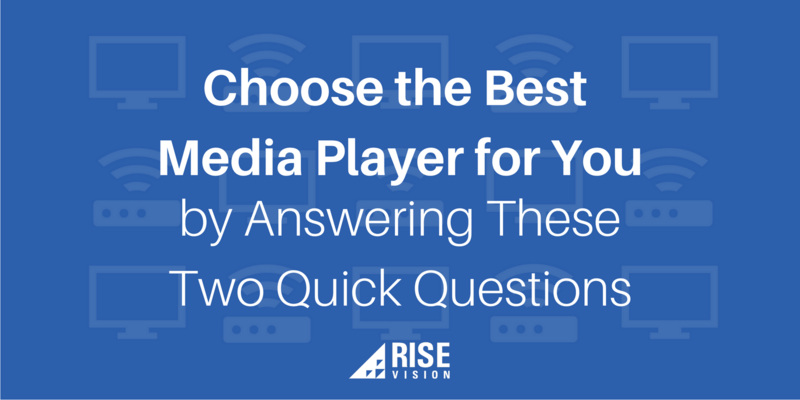 We put together a guide to help you quickly decide what type of media player might be best for you. At less than $50, Raspberry Pi digital signage hardware is tough to beat. Blake put together a small shopping list of what Amazon shipped to him. The technical community loves Pi. Searches for Raspberry Pi advice and feedback are actually the most popular queries within our Community. Our Support experts love to hangout in the community because it’s a home for our most technical users. And our developers and “IT Guys” both love the simplicity of Raspberry Pi. A quick Google search, too, will unveil seemingly endless articles about Raspberry Pi, and how others are using the hardware for their digital signage. The Raspberry Pi device is just a mini computer. When dressed up with the case, your device is just about the size of a soap bar. And when compared to a traditional computer, it requires much, much less energy. For many of our customers (especially those with high technical skills), find this blend of simplicity and effeciency to be the perfect option for their digital signage. Sounds Amazing. But, What Are the Limitations? As a technical user, you might be a bit skeptical right now. This all sounds incredible, what’s the catch? The power of Raspberry Pi is lower as compared to other devices. Raspberry Pi works best with relatively simple presentations. Think text and images, specifically. We certainly have customers who push the envelope of their device’s capabilities, but things always tend to break when you need them the most. Raspberry Pi provides limited RAM, and video usually pushes the envelope too much. If video, or 4K video, are in your plans, we’d suggest checking out other low-cost media player options. … and reviewed his Raspberry Pi hardware shopping list. Checked out our Raspberry Pi Player download documentation. Reviewed the getting started with us for free steps. Well, you’re now on your way to setting up a very affordable display network with our software. 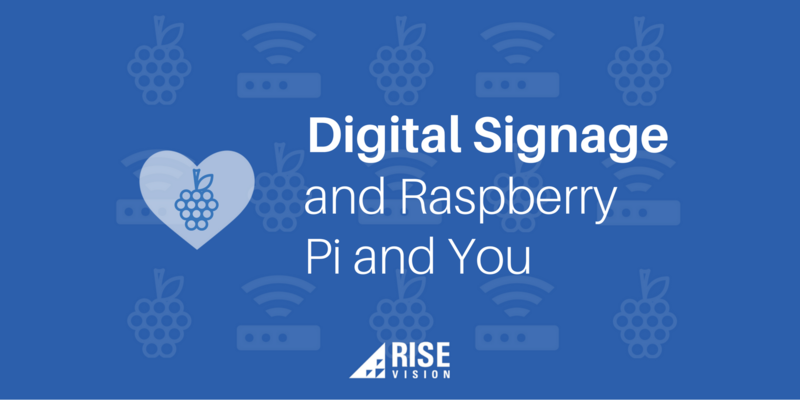 If you have questions about getting started with setting up your Raspberry Pi digital signage, we’d love to chat. Or perhaps you feel comfortable enough to begin your journey of becoming a digital signage guru? 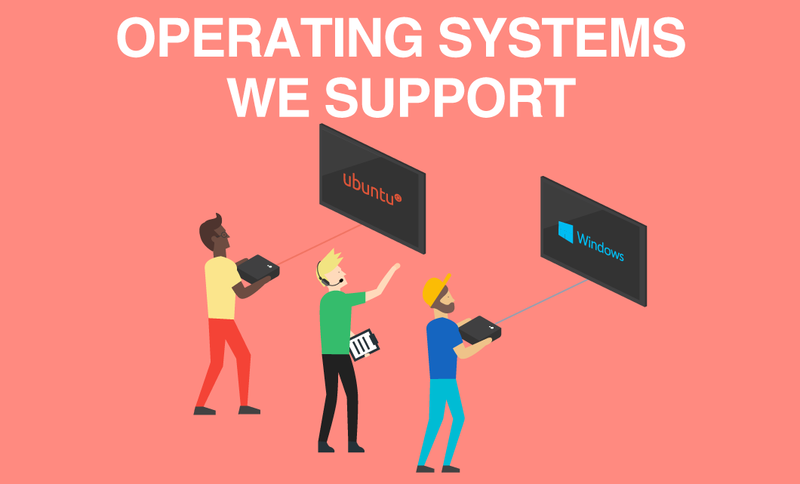 Which Operating Systems Does Rise Vision Support?